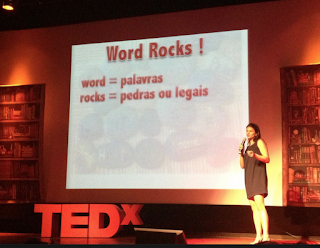 Word Rocks was invited to speak at TED São Paulo, Brazil. 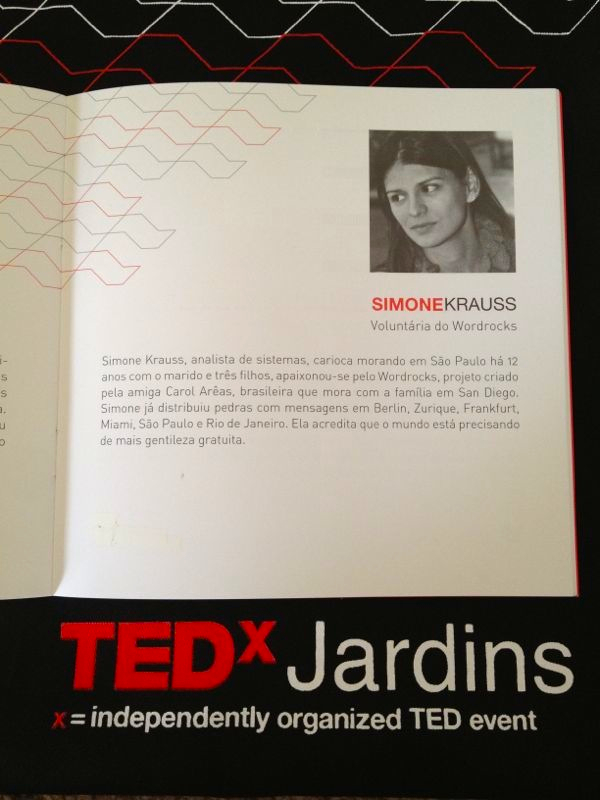 As we could not be there, my lovely friend Simone Krauss made ​​an exciting presentation to the audience of 150 people. 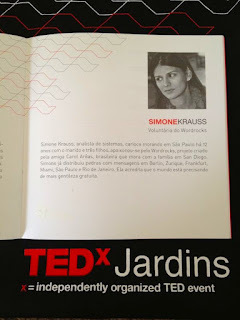 TED began in 1984 as an annual conference in California and has had among its speakers Bill Clinton, Paul Simon, Bill Gates, Bono, Al Gore, Michelle Obama and Philippe Starck. The organization intends to change its motto "ideas worth spreading" increasingly a reality. "We believe passionately in the power of ideas to change attitudes, lives and ultimately, the world," say the organizers of TED. We also. And you? TED: Ideas worth spreading. Read more here.